Although i applaud his recent recognition of intelligent life Mr Hawking's statement has caused a fear based reaction in the media. First it was terrorists, weapons of mass destruction and now the media is playing the 'fear the aliens' campaign. Following the launch of Stephen Hawking's new show 'into the Universe' the other night and his talk about why we should fear Et's, the media picked up his statements as a foreseeable warning to the public. Basically, science is now confirming that yes, intelligent life now more than likely exists in the universe but it should be considered as a threat. If Mr Hawking only understood the missing fact that Et's have infact already been visiting earth for hundreds (or even thousands) of years then he would not have made this alarmist statement. If Earth has been visited by a civilisation so technologically advanced that it could travel from millions of light years away , then the fact that they haven't wiped us out by now means that a hostile invasion is likely not their intention. With the large volume of witnesses testimonies from pilots, police and military personell and thousands pieces of Ufo footage out there surely there is some validation that earth has been visited by intelligent races for some time?. I mean there is even numerous reports that it is the Et's who have been monitoring earth and disabling our nuclear weapons so we don't destroy the planet (not that the military would want us to know this either). So as we are still here we shouldn't have to the fear an Et invasion. Sadly many in the scientific community still can't pass the vital understanding that Et's have visted earth because they argue there is no proof (conclusive findings) to confirm otherwise - even when they now believe they are likely out in space somewhere. Evidence based science requires validation and research to confirm its findings and so its a disgrace that the US airforce and organisations like NASA have prevented the study of Ufos to delay the disclosure progress . A shameful example of this is project bluebook which was meant to be the US Airforces way of saying 'case closed' to the Ufo topic. Thus this is why we still have these ridiculous ill-informed comments coming from scientists Mr Hawking - they don't have the evidence to know any better. If science now believes that the probability of intelligent life in the universe is now a reality then why don't scientists do something about it and commit to re-open and study the once shunned Ufo and ET topic in a respectable way - its a now legitamate topic for scientific study. Its common to fear something you don't know but we already know alot about Ufos and Et's and im sure the government know's even more - the time for transperency and disclosure on the Ufo topic is long gone. Hawking should refrain from stirring the war-mongering fear pot that attends all things "alien." And one might ask: Why would he make such statements, unless he is carrying water for the military-industrial-financial complex which profiteers off of the wars that fear breeds? 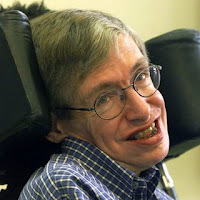 As a scientist he [Hawking] should know better? Well, one thing is what we wish to believe and other thing is the thing called reality. Hopefully, all of the other civilizations out there are not hostile, but we do not KNOW that. Logically one could assume that not all races share the same mindset, regardless of their technology, and subsequently the question of hostility rises. And, Mr. Greer, for the sake of your cause please don't attempt to undermine Hawking's motives. Maybe Hawkings should stick with theoretical physics? After all, would Einstein's opinion on ballroom dancing be any more relevant than any other man or woman? I think not. It can be FUN .. I agree that the essence of Greer's response makes sense, but to question whether Hawking has connections to the coverup is just plain foolish and extremely counterproductive. did any of you ever think that they "aliens" are products of God? Mr Hawking just cristalize his opinion by based it on movies industry. Just look around - almost all movies about extraterrestials are fear based. Hostail alien threat is food for mases who wanted some chill at saturday night. Although there are some malicious ET (like we are now) there are indicates that there are also neutral and benevolent ones too. Just like we are here on Earth. Some of us are good and some have their own agendas. Mr. Hawking and his family is being threatened by certain forces. As an esteemed scientist he is forced to come out with this "statement", being the aliby for further war-actions in space. But this will just not happen.. mind my words!